A highlight of our work is when we get to engage with you through our symposia. It is a rewarding opportunity for us to keep many hundreds of you – our stakeholders - up to date with the latest regulatory changes and our current thinking, and for us to answer your questions. The events are a key part of our role in protecting public health and supporting innovation. The success of our symposia is achieved through hard work from all those involved and it takes a huge commitment from my team to pull these events together. I’m always extremely proud of the effort that is put in and of the final quality of the events. I have colleagues in other member states who are extremely jealous of the opportunity we in the UK have to talk to inspectors at symposia like this. In December 2014 the Good Manufacturing Practice (GMP) and Good Distribution Practice (GDP) inspectorates ran a 4-day symposium in London. The individual GMP and GDP sessions were repeated on alternate days, allowing delegates interested in both areas to attend the full programme. The Good Distribution Practice Symposium 2014 – “One Year On” emphasised the importance of the new ways of working related to the changes seen in the revised Good Distribution Practice Guidelines and the introduction of the Falsified Medicines Directive (FMD). The Good Manufacturing Practice Symposium 2014 provided an update on the significant changes to the EU GMP Guide, both implemented and planned, with presentations relating to Chapters 3 and 5, Annexes 13, 15, 16 and an FMD update. It also focused on a current ‘hot topic’ of data integrity which was identified through inspection trends to raise awareness of recent issues. The event was a great success and was the biggest symposium that the Inspectorate had held to date with around 350 delegates attending each day. Attendees included representatives from a variety of organisations across the pharmaceutical industry including full and short line wholesalers, pharmacy chain operators, manufacturers, importers and exporters, storage and distribution organisations and many more. In March of this year, the GCP inspectorate held a symposium in London. The event provided a unique platform for cross-collaboration and discussion between regulators and members of the commercial and non-commercial research community. During the event, inspectors from the GCP inspectorate team and the MHRA’s clinical trials unit spoke about the latest hot topics and provided regulatory updates. The event was designed to provide information that would help stakeholders move away from burdensome, ineffective and costly compliance models and provided them with smart solutions to issues regularly encountered by inspectors and research professionals. The Inspectorate team tailored the event to provide the most relevant information for those sponsoring and managing clinical trial activities in both commercial and non-commercial settings. The symposium was aimed at a wide range of individuals who are responsible for organising, conducting, monitoring and reporting clinical trials including quality assurance personnel, investigators and pharmacists. By attending, delegates ensured they were kept up to date with the latest GCP requirements and MHRA expectations on the conduct of clinical trials. They were also able to discuss quality issues affecting their organisations. The presentations and workshops we ran supported attendees to recognise commonly-seen GCP deficiencies and learn how to improve compliance in their organisations. 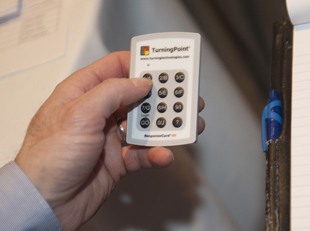 A number of managed interactive sessions allowed attendees to discuss best practice with their peers. Throughout the event there were numerous opportunities to meet the GCP inspectorate team and to ask questions on specific aspects of GCP that affected delegates back in the work place. The event will be repeated in the north of the UK in early autumn 2015. My team are already working hard on the symposia for the remainder of 2015 which will be bringing you our latest thinking on numerous topics. 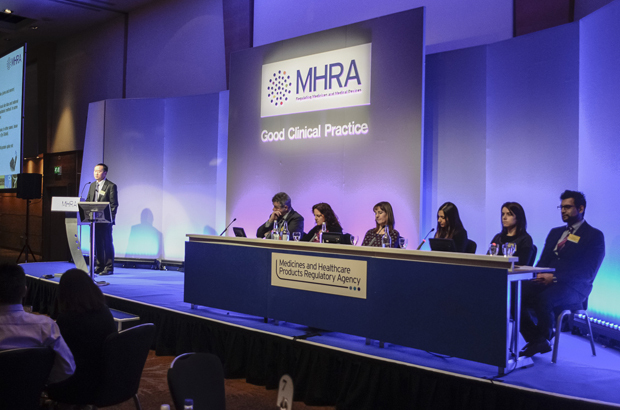 The MHRA Inspectorate GCP/GLP Symposium is scheduled to run in the week commencing 28 September. A detailed programme will be available soon. 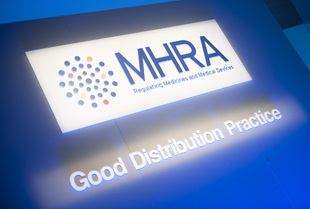 The MHRA Good Manufacturing Practice and Good Distribution Practice Symposium 2015 is being held between 8 and 11 December 2015 - more details will be available later this year, hold the date for now. We would love to hear from you about topics for our upcoming events – get in touch by emailing inspectorate@mhra.gsi.gov.uk.